Nonie correctly identified last week's mystery seed pod as being from a mesquite. 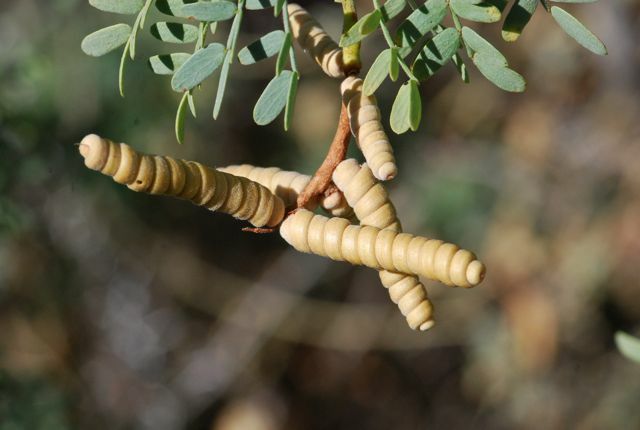 We commonly call them screwbean mesquites because of the spiraling seed pod. The scientific name is Prosopis pubescens. These mesquites are small trees. They have lovely yellow flowers. Can I use your photo of the screw bean mesquite from your December 22, 2009 blog post for a book I am writing of contemplations. If yes, can you email me a high resolution photo for print publications along with how you would like it attributed?